There is definitely an art to mixing holiday music that will spread joy and cheer all season, but it's worth spending some time to create an ambiance that matches the mood you would like. Retail businesses, restaurants, offices and hotels usually have slightly different moods based on their vibe and customers. The vibe, demographics and flow can determine the type of traditional, pop, jazz or other blend to get the atmosphere just right. Scheduling different styles for different times of day might also be something that can change the mood, perhaps to speed up the consumption rate of evening drinks at the bar! Fortunately, Cloud Cover Music can help with all the experience from years of getting it right. One customer that was fun to help out, was a botanic garden in Colorado. We really enjoyed getting into the Holiday Spirit by looking at the pictures of their past events. The Gardens on Spring Creek is a community horticulture center that aims to improve the northern Colorado population through fostering environmental stewardship and sustainability. Their first garden, The Children’s Garden, opened in 2006 and was later followed by nine other gardens, an outdoor teaching kitchen, and classroom. While they opened their gates over 10 years ago, they are still dedicated to providing the same exceptional service to their natural and human environments. 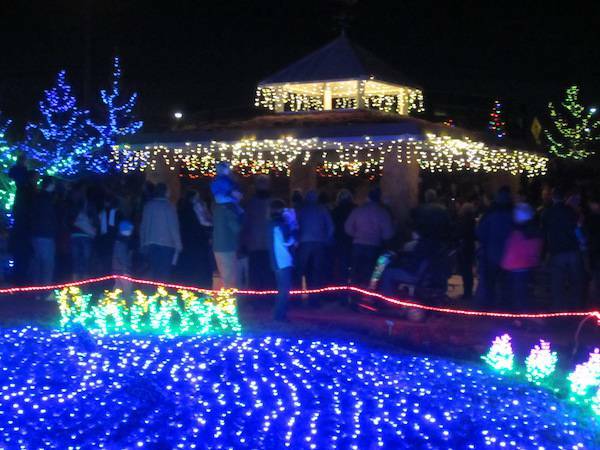 We partnered with the Gardens on Spring Creek to help them enhance the auditory experience of their annual Garden of Lights event. 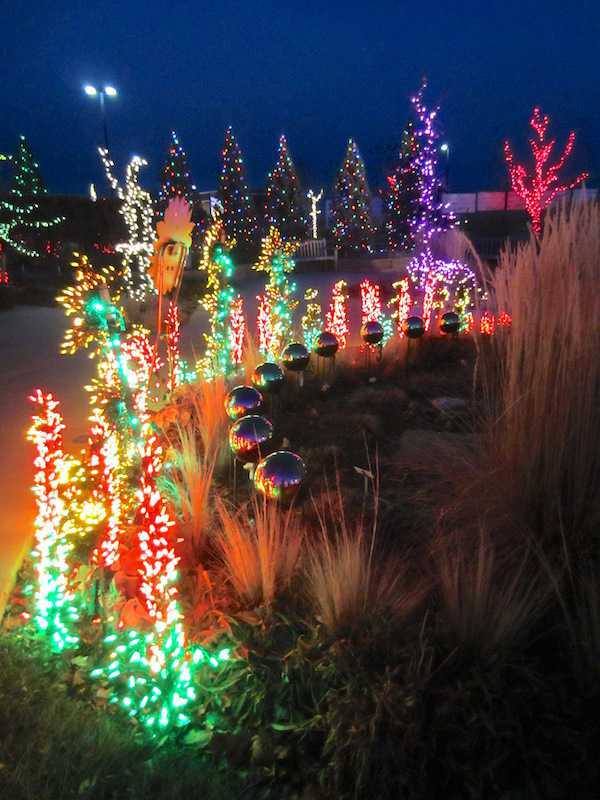 Throughout this Northern Colorado tradition, almost every section of the gardens is decorated with bright, whimsical LED lights – even their flowerbeds, vegetable garden and breathtaking blue pond. It's a wonderful sight to be seen by anyone of any age and we highly recommend you make a visit if you are in the area in December! The Cloud Cover Music Curation Team assisted them in producing a cohesive musical experience with a hand-curated playlist of high-quality holiday music, which was paired to seamlessly stream with the Garden of Light’s outdoor sound system. The music assisted in keeping the patrons’ spirits high, particularly when the temperature during this uncovered event dropped particularly low. All families, Santa and Sugar Plum Hairies (canine troupe) experienced the Cloud Cover music all December long. The Results: An Experience To Remember!